Now a major motion picture, starring John Diehl, Jean Louisa Kelly, and Ben Ashbrook, directed by Paul Krizan! 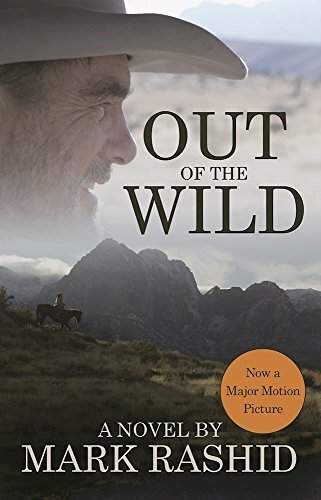 One dark, vacant Nevada night, cattle rancher Henry McBride closes his eyesÂonly to open them and find his life suddenly in a shambles, with everything that means anything to him lost forever. Overwhelmed by grief and guilt, Henry drives away from his past as far and as fast as he can; jobs, towns, and whiskey come and go. And then guest ranch owner Jessie King extends an open and forgiving hand, and the arrival of a young mustang stallionÂalso wounded and aloneÂignites a flicker of recognition in Henry. Jessie's powerful ability to connect with horses, and her gentle attempts to connect with Henry, slow him down long enough to let him heal just a little. But when Jessieâs former ranch manager returns with murder in mind, the fragile world she, Henry, and the stallion are building together threatens to come crashing down. About: Now a major motion picture, starring John Diehl, Jean Louisa Kelly, and Ben Ashbrook, directed by Paul Krizan!